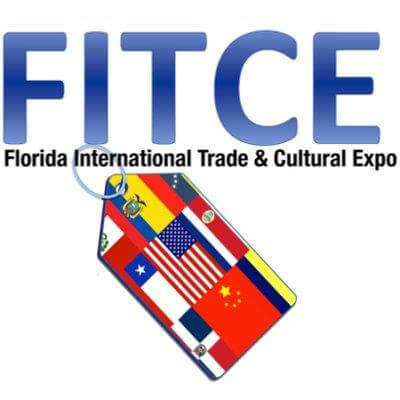 Opening its doors to 35 nations, government leaders, and trade representatives from around the globe, Broward County hosts the 2017 Florida International Trade and Cultural Expose (FITCE) on October 17th and 18th at the Broward County Convention Center. An opportunity to dynamically engage global leaders, industry experts, and trade representatives, FITCE attracts more than 200 international businesses and 400 local businesses. The FITCE Cultural Program Committee will be selecting professional artists to exhibit, perform, and engage audiences during the upcoming expo. Interested artists of all disciplines are invited to submit applications. For more information and the application, visit our website. Download a tutorial for the application. Application deadline is Friday, October 13th. The two-day expo includes panels, workshops, networking, and special events that focus on the exploration of new economic opportunities around the world with international businesses, government officials, consuls general, bi-national chambers of commerce and keynote speakers. This is an outstanding opportunity for artists to showcase their work on an international level and for the County to display the incredible talents of local artists. For more information about the conference, visit Broward.org/FITCE.